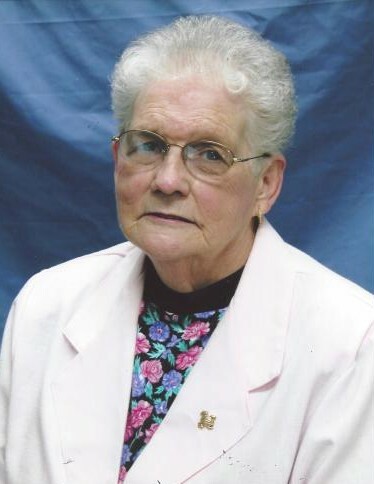 Edith Lorene Conley Blankenship, of Narrows went to be with the Lord on Monday, April 8, 2019 at Carilion Roanoke Memorial Hospital. Mrs. Blankenship was born on September 20, 1932 in Chapel, (Giles County) VA and was a daughter of the late Otha Levi Conley and Flora Cathalene Wall Conley. Besides her parents, she was preceded in death by her husband, Alva Lee Blankenship, two brothers, Ervin Levi Conley, Henry Harless Conley, three sisters, Janetta Irene Hughes, Kathern Elizabeth Bivens, Stella Kathern Orey and one granddaughter, Lezley Leigh Rice. Mrs. Blankenship was a member of Kathleen Memorial Methodist Church on Wolf Creek and later attended Riverview Baptist Church in Ripplemead. She was a retired employee of the Celanese Corp. in Narrows with over twenty-five years of service. Mrs. Blankenship was a wonderful cook and loved the company of her family. She is survived by two daughters, Beverly Marlene Rice (Robert) of Narrows, Elizabeth Marie Copenhaver (William) of Beaver Creek, OH, two sons, David Lewis Blankenship (Joan) of Richmond, Bernard Lee Blankenship (Mary) of Narrows, four grandchildren, six great grandchildren, one great great grandchild, two special nieces, Patty Blankenship and Barbara Miles and a large number of extended family. Funeral services will be conduced Thursday, April 11, 2019 at 11am at the Riffe-Givens Funeral Chapel in Narrows with Pastor Shahn Wilburn officiating with burial following in the Birchlawn Burial Park in Pearisburg. The family will receive friends at the funeral home Wednesday evening from 6 – 8 pm. In lieu of flowers, memorial contributions can be made to the Giles County Relay for Life to benefit the American Cancer Society. The family is being served by Riffe - Givens Funeral Service in Narrows, (540) 726-2442, and online at riffefuneralservice.com.